NOTE: Take note of the current settings of your device before resetting. Any settings on your video camera will be rolled back to its factory default. Press the RESET button for 30 seconds. 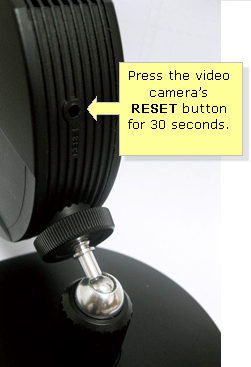 The RESET button can be found at the side of the camera. 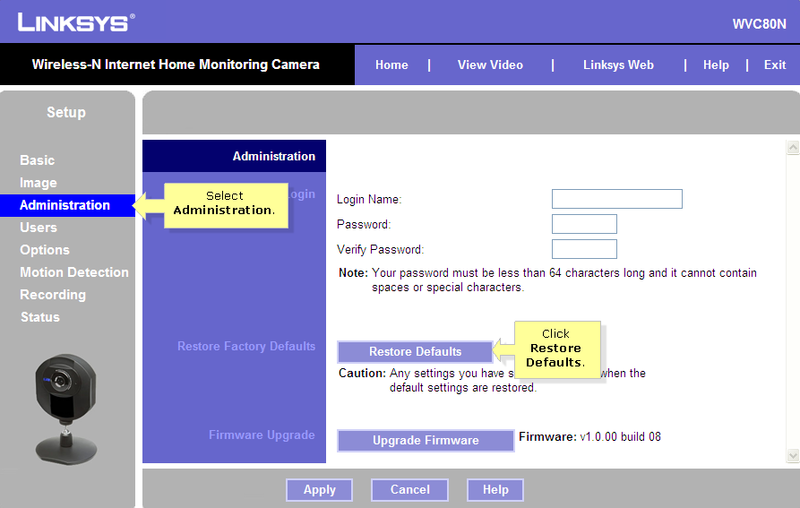 Access the video camera’s web-based setup page. For instructions, click here. 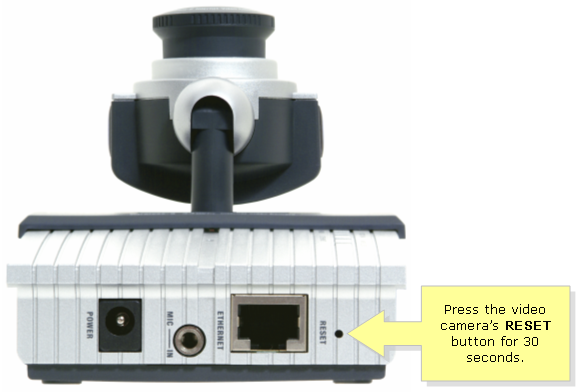 NOTE: If you are using Mac computer to access the video camera's web-based setup page, click here. On Setup page, click Setup. When the Setup window appears, select Administration and then click the Restore Defaults Button. This will reset the video camera back to its factory settings.